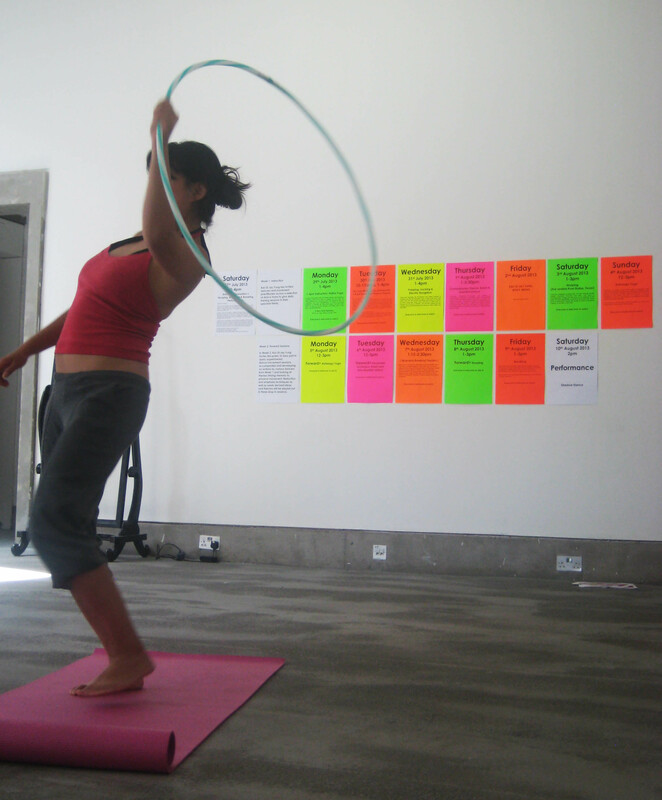 Following a few technical hitches, finally I was united with hoola hooper extraordinaire Jen Ross. 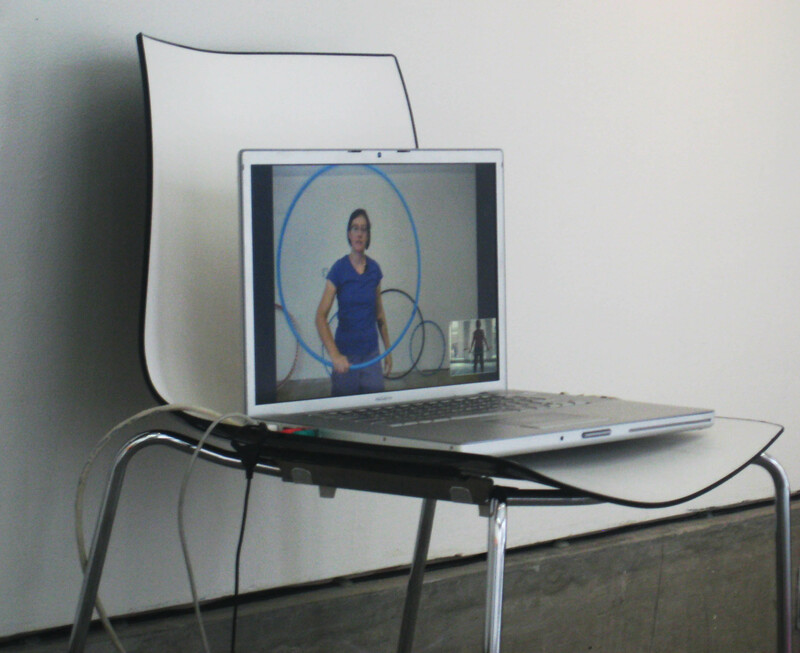 From Dallas via seamless skype we were connected, despite my newsagent’s plastic stripe green bead rattling hoolahoop in comparison to her expert researched, self-crafted polyproplene hoop, I think I am quite addicted to the hoop now. 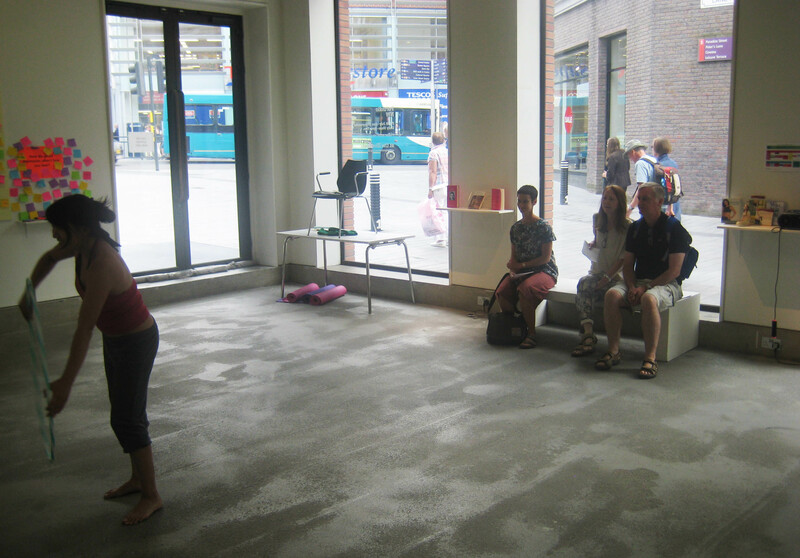 We begun with a grounding exercise with feet routed as branches all the way to the core, not of the distill connect but rather to the molten centre of the earth- all the exercise folk have immersive meditative words that have help clear my mind in preparation of our session. 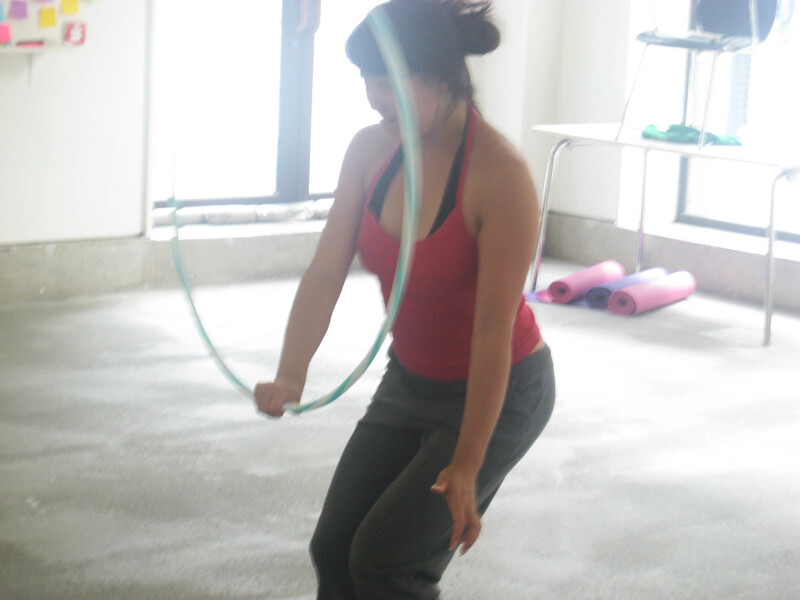 Then followed exercises with the hoop and me, at sea- the hoop as a life buoy, in face of obstactles or with music. 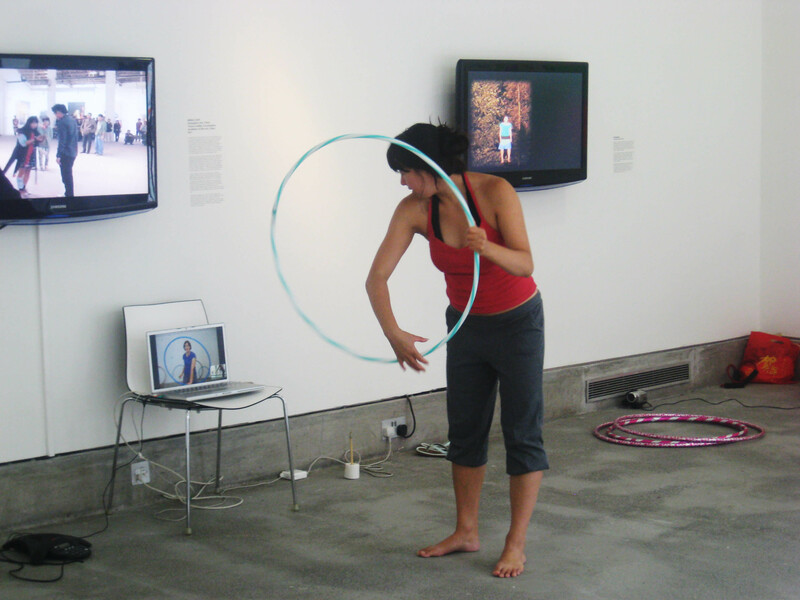 The session was a combination of advanced to basic techniques. 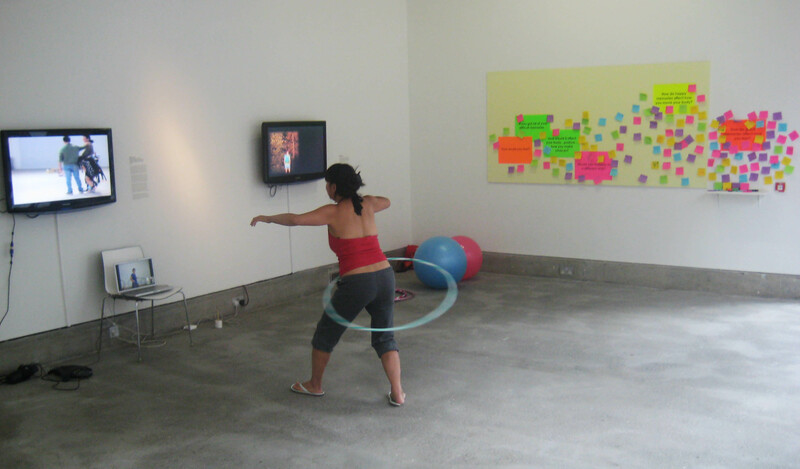 Although I did not succeed very well in spinning the hoop around around my waist more than a dozen times, I did manage to habituate myself with the internal area of the hoop, it’s diameter and presence as an extension of my bodily planes. 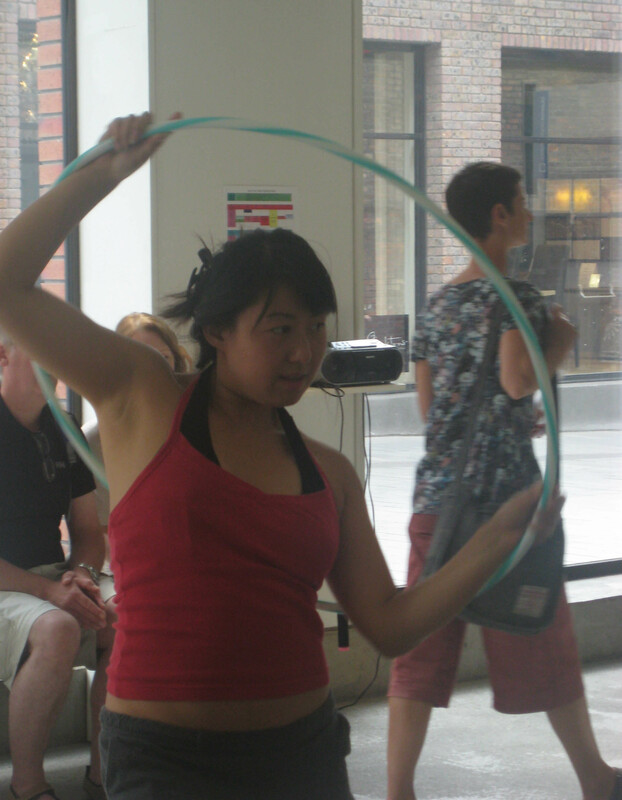 I knew that this hooping was beyond childhood toy from Jen’s acrobatic skill and her use of the hoop as a healing aid and also other more investigative tool to access the paranormal (more later). 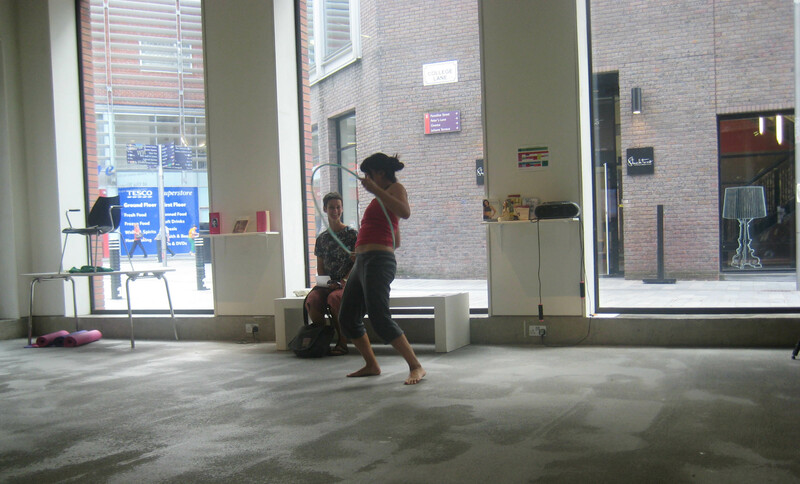 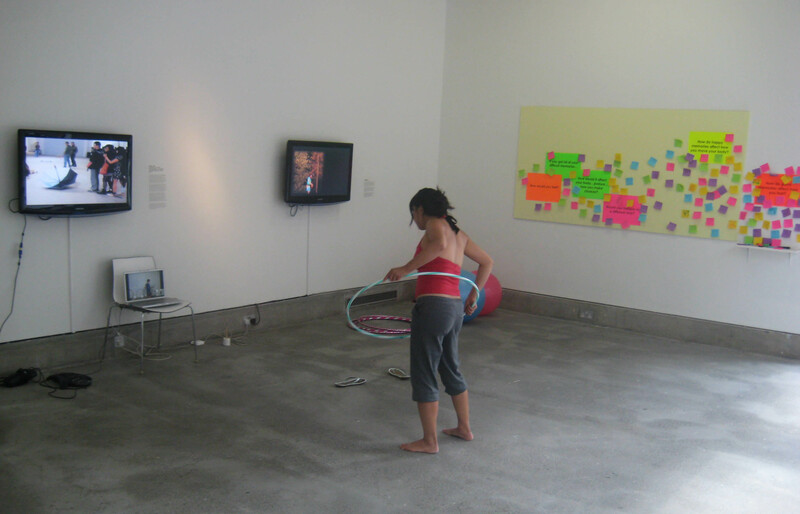 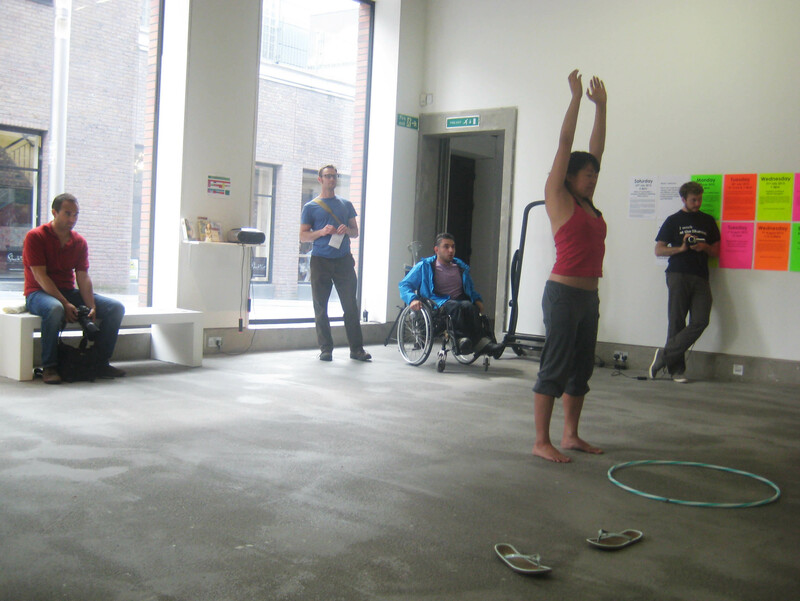 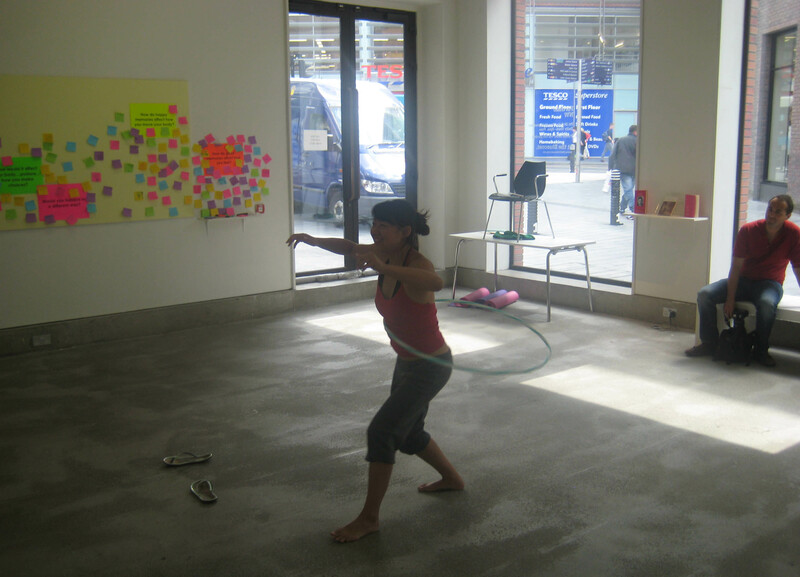 At once the hoop allowed me to begin to explore those planes that are the invisible spaces to which Laban refers. 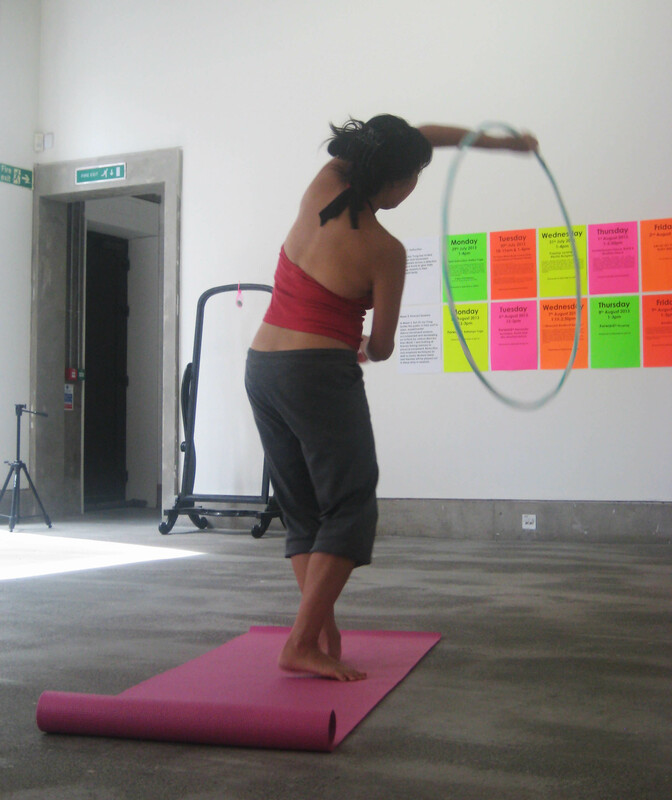 Figures of eights, static moving hoop behind the back and in front of myself, the smear… all tricks and moves that I have begun to habituate my body to… it’s though practice and overcoming those initial self doubts that the body can have an imprint to be able to repeat, positively. 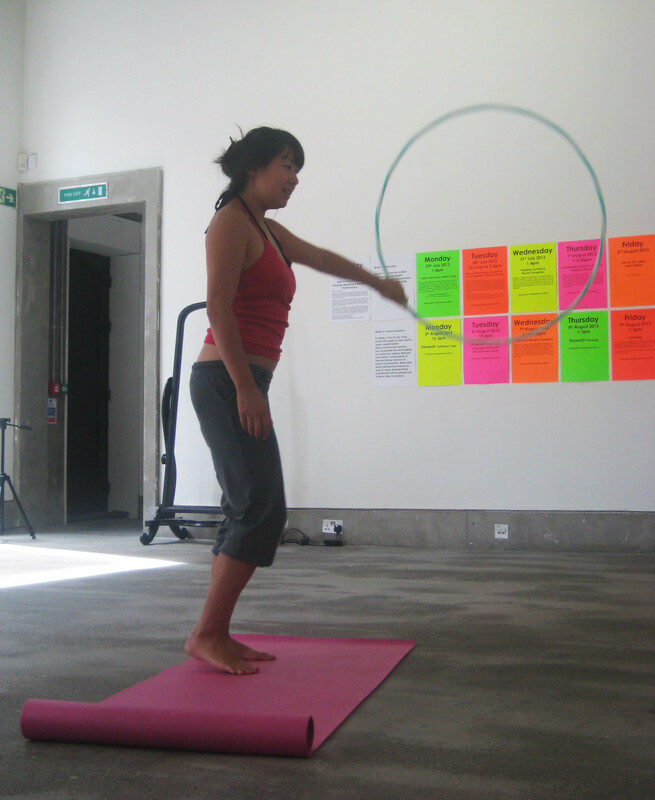 I impressed myself when during a later session with Maria I was able to pick up the hoop and flowingly move with it in the way in which I was instructing my body parts to move, without thinking.